Happy Tea For Two-sday friends! 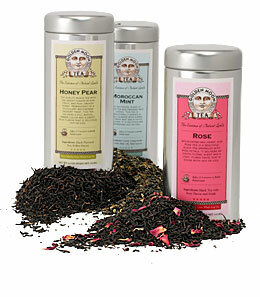 Thank you to all of you who entered the Golden Moon Tea giveaway! Glad you enjoy tea! I always feel the need to console those of you who didn't win - LOL! So I wanted to let you know that there is another Golden Moon Tea giveaway that you can enter! My friend Katie over at Frugal Femina is hosting a giveaway for a tin of Golden Moon Tea and her giveaway ends 11/26/09 - you still have time to enter! Have a lovely Tea For Two-sday! Phew I didn't win! I would have felt bad if I had. LOL!! Big it's sad when you feel guilty for winning your friends giveaways but I get over it really quick size hugs to you! Have a fabulous day my sweet friend. Congrats to Renee and you have a lovely Thanksgiving, my friend!